Can you believe we only have 3 weeks until graduation? This year has zoomed by! Graduation is a special time for 8th grade families. Many of them move on together to El Cerrito High, and some fly off to other schools, so for our 8th graders, the graduation commencement events are vastly important. That being said, we can not pull off all the activities without your help! There are 3 events that need 7th AND 8th grade families to help with. We have included a link to a google doc that you can sign up. 1. Promotion practice: Before the picnic, parents are needed to help organize and supervise the 8th graders as they practice for the promotion ceremony. 2. Help with the 8th grade picnic: This happens prior to the kids vs. teachers softball game. We have 3 point persons already and need people to sign ups for food, set-up, clean-up etc. BOTH 7th & 8th Grade families can help! 3. Graduation: This is a huge event where the kids cross the stage. Tradition has been 7th grade families sign up to help with some of the larger day of jobs so 8th grade families can watch their babies cross the stage! Then next year, we continue that tradition and you get to sit back and watch your babies cross the stage! 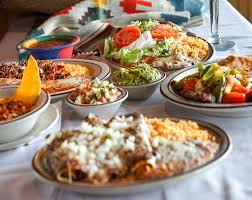 There are other day/night-of items for 8th grade families as well as a sign-up to help order, pick-up & deliver appetizers, drinks & desserts to the school. Please note there are 3 tabs on the sign up sheet! Please contact either Rula Craner at rula_craner@yahoo.com OR Negar Souza at thesouzafamily@comcast.net for more info, clarification or questions. WE NEED YOU! We cannot do this without your help! 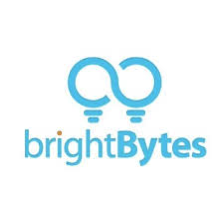 During the 2014-15 school year, our district started a partnership with BrightBytes, an educational software company in order to learn more about our technology use for student learning. 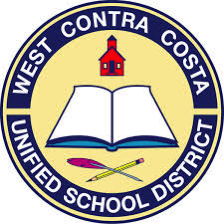 Our goal is to gather data on a continuing basis regarding technology access and skills, and on our district’s technology environment, in order to understand the connection between technology use and student achievement. To gain these insights, we provide BrightBytes with a complete picture of technology use at school and at home within our district. Students, teachers, and parents are asked to complete an online questionnaire twice a year to help us gather this data. Your participation and support is important to us and will give us a more complete understanding of our district’s technology use. Our first step is to gather data from you, the members of our parent community. 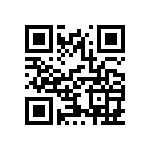 Below is a link to the parent survey, as well as a QR code which can be scanned with a mobile device running a QR code reader. This will allow you to access the survey on your smartphone or another mobile device (such as a tablet). Please note that the survey is short and should only take about 5 to 8 minutes of your time. Thank you in advance for taking the time to complete this valuable survey.